9:25 am Tuesday, Aug. 28, 2012 by J.W. What Was in the Paper? Posted on 8:51 am Tuesday, Aug. 28, 2012 by J.W. …why did my first horrible case of traveler’s diarrhea in India have to result from a mango? I love mangoes, and India’s vast array of deliciously different mango varieties has been one of the great delights of moving here. “You didn’t even wash it?” Dr. Paul Offit, chief of infectious diseases at Children’s Hospital of Philadelphia, asked me later. No. “Even by your standards, that was really stupid,” Dr. Offit said. India arguably has only two seasons: monsoon season and mango season. Monsoon season replenishes India’s soil. 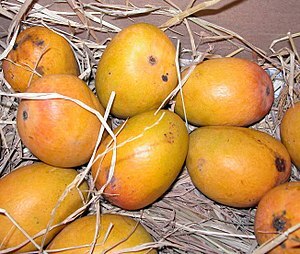 Mango season, more than a few literary types have suggested, helps replenish India’s soul. via Mango Season Has India in Thrall – NYTimes.com. Kama shoots flower-tipped arrows at gods and humans alike, inspiring lust, love and the rainbow in between. One of his five arrows holds a mango blossom, said to be a particularly potent missile. via In Myth and Literature, the Mango Remains King – NYTimes.com. Posted on 4:00 pm Monday, Aug. 27, 2012 by J.W. There is blood in the water in The Bronx and the sharks are beginning to circle. via Yankees looking vulnerable | Home | Toronto Sun. The ill tidings, from the veteran reporter Ken Fidlin, begin immediately in a preview of the Blue Jays’ three-game series (which began Monday). Sharks in the Bronx! Think of it. To be sure, given the natural state of the Harlem River, that seems like as much trouble for the sharks as the Yankees. But trouble it is. A “good” spot. Concerned, and vulnerable, in the churning, gray-green waters just off the Polo Grounds Towers. Where if the sharks in the water don’t get you, those on the basketball courts in Rucker Park will. But better to be there than to be in Canada. See, because there would be reason for concern if the Yankees were playing anyone but the Blue Jays. Posted on 12:17 pm Thursday, Aug. 23, 2012 by J.W. So, avuncular (unclelike), saturnine (sluggish), sybaritic (pleasure-loving), antediluvian (primitive), concomitant (accompanying), uxorious (fawning), lucubrate (laborious studying) and …how about vulpine? I like this word, the way it sounds. You pronounce it to rhyme with full-pine, emphasis on the first syllable; it sounds better in a British accent. I like, too, the curt, dismissive tone of the Webster’s definition. Like the dictionary nerds were, just, like a fox, whatever. And I also like that it has some of the same sounds as vituperative, a word I know to be a favorite of yours. There are delicious possibilities, I think, in combining the two. 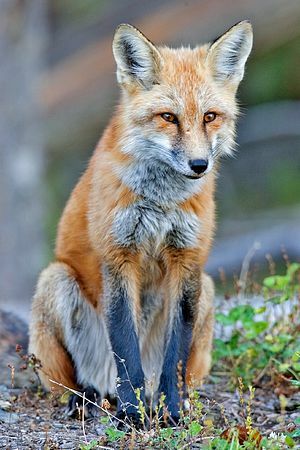 Not surprisingly, vulpine as a word is itself quite foxlike: The genus name for several species of fox is vulpes, and the scientific name for the common red fox, you know, like in the cartoons, is vulpes vulpes. I also found this: “Ever since Dahl released his classic tale, Fantastic Mr Fox in 1970, the three embittered baddies have been vainly attempting to outsmart its vulpine hero.” But that is far too derivative. Posted on 10:54 am Wednesday, Aug. 22, 2012 by J.W. Nebraska is behind three other B1G teams in the AP preseason poll: Michigan at No. 8 (with a first-place vote, amazingly enough), Wisconsin at No. 12 and Michigan State at No. 13. Looking at last year’s results, it’s hard to complain about those rankings. via Breaking Down Nebraska’s Ranking in the AP’s College Football Preseason Poll | Bleacher Report. Nebraska is 17th in the preseason Associated Press poll, which is to say Nebraska was politely, if belatedly, added to the list by lazy sportswriters. Resting on your laurels, is what that is. Things do not bode well. A casual observer can see that the enthusiasm is palpable at the top of the poll — 43 points separate the top three, Southern California, Alabama and Louisiana State. But by the time the finger slides past Georgia at No. 6 or Florida State at No. 7, life bleeds mockingly from the point totals like a flatulent, deflating balloon. The Bleacher Report’s Patrick Runge, however, was able to sustain enough energy to make a few not-moronic observations. Notably, that Nebraska ranks lower than the best teams in the Big Ten, Michigan (No. 8), Wisconsin (No. 12) and Michigan State (No. 13), and the corollary that none of those teams have a cat’s chance in hell with gasoline drawers on of winning the national championship. Mr. Runge also notes that the A.P.’s poll jibes broadly with its peers — Nebraska is 14th in Athlon, SI.com and CBSSports.com; 17th in Yahoo; and 21st in The National Football Post and ESPN’s so-called power rankings. He, I think, sees this as corroboration. It is, of course, but only that Nebraska is being widely ignored. No one believes a preseason poll voter is carefully slotting teams after the first few. “Who cares about what the polls say?” Nebraska Coach Bo Pelini, himself a voter in the USA Today poll, recently told reporters. Indeed, no one, sir, save a few hardy souls, like Mr. Runge, who gnaw at the marrow of meager news. The “big talk” of a No. 17 ranking seems like “doodly squat,” as the Missouri grandmother in “The Outlaw Josey Wales” would say, for the Huskers, a middling team that did not even look that good last November in defeats to Northwestern and Michigan, and that struggled to beat a zombified Penn State team by 3 points. Looking at the first four weeks of this year’s schedule, Nebraska opens at home Sept. 1 against Southern Mississippi (always pesky), travels to U.C.L.A. (no longer coached by Rick Neuheisel) and then hosts Arkansas State (finally trying hard) and Idaho State (won only twice last season). The depressing thing is, after all that thoroughly boring football, the Huskers will have a better-than-average chance to be 4-0 and much-discussed heading into homecoming, Sept. 29, against Wisconsin. That will be a virtual repeat of last season, when hubris-addled Nebraska went to microbrew-sopped Madison for its Big Ten debut — a 48-17 depantsing. Then, Nebraska bounced back with consecutive victories, against humbled Ohio State and never-wasn’t-humble Minnesota, before notching the signature victory of its season, an inexplicable, if desultory, 24-3 dismantling of conference runner-up Michigan State. Thence to already-described November and relief that there also was basketball and hockey to watch. This season, the gantlet comes earlier. October brings Ohio State, Michigan and (on Nov. 3) Michigan State. By Election Day, Nebraska could very well be 5-4 and fighting for its postseason life. The schedule’s comparatively soft landing of Penn State, Minnesota and Iowa will probably do nothing to ameliorate the resentment and bitterness yielded by a likely 7-5 record. The only thing left is to forecast the number of games in which Pelini penalized for losing his temper in a purple-hued eruption of pointed fingers and spittle. A peculiar rumination in Hail Varsity by Brandon Vogel does not improve matters. Mr. Vogel’s analysis of Nebraska’s 2011 season using the stubbornly simplistic Pythagorean Win Theorem confirms the reasonable conclusion that last season’s 9-4 record will not be improved upon in 2012. The idea is that teams that exceed the number of wins predicted by the theorem in one season will win fewer games in the next; and Nebraska topped its Pythagorean prediction last season by 0.84 games. Never mind that Nebraska has not conformed to the stated pattern for more than a decade. Posted on 11:47 am Sunday, Aug. 19, 2012 by J.W. Posted on 2:20 pm Saturday, Aug. 18, 2012 by J.W. Hosted by Open Source’s home page. Their fourth annual whatever-this-is. Looked fun. Like watching Little League, only harder to criticize the players. Posted on 9:35 am Thursday, Aug. 16, 2012 by J.W. So, avuncular, saturnine, sybaritic, antediluvian, concomitant, uxorious and… how about lucubrate? This word is interesting for two reasons. One, I noticed it in a blog post on winning words from the Scripps National Spelling Bee, though contest officials accepted a different spelling at the time: elucubrate. Webster’s recognizes no such word, so I will write that the correct spelling of “lucubrate” gave the victory in 1980 to Jacques Bailly, a Denver boy who went on to become a Fulbright scholar. And something of a fusspot, apparently. He has been the bee’s official pronouncer since 2003. Two, I can find no use of lucubrate in the popular, Web-friendly media. Really no sign of it at all on the Web, if you trust Google, and discount lazy “word of the day”-type posts like this and not-so-cleverly labeled publications. So it behooves you, I think, to start. Posted on 11:06 am Wednesday, Aug. 15, 2012 by J.W. A defense attorney says an Ohio man who brought a gun, ammunition and several knives to a showing of the latest Batman movie did so for protection and out of fear following a deadly Colorado shooting. 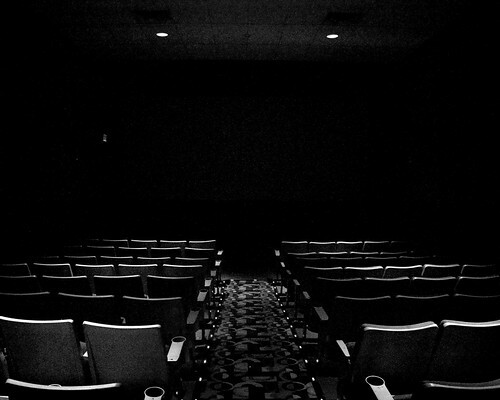 via Lawyer: Ohio moviegoer armed himself because of Colorado shooting | The Detroit News | detroitnews.com. A 56-year-old man accidentally shot himself in the buttocks inside the Century 14 movie theaters in downtown Sparks on Tuesday night when a gun he had brought into the cinema discharged, police dispatch said. via Sparks moviegoer shoots himself in buttocks, apologizes, leaves theater | Reno Gazette-Journal | rgj.com. via Man arrested after bringing gun into Thornton movie theater – The Denver Post. Despite a sign prohibiting weapons, police said three people had brought guns into a movie theater Friday night where the Batman film “The Dark Knight Rises” was showing. via 3 people carry guns into movie theater in Putnam County – WSMV Channel 4.